What should I expect from your prepared meals and menus? Our prepared meals are complete fully prepared meals that typically include a protein component, grain, and vegetable. They are designed by trained chefs who value taste, visual appeal, flavor, and texture contrasts. Other offerings on our weekly menu include family style side dishes, hearty soups, seasonal quiches, pot pies, lasagna and whole roasted organic chickens. An ‘add on’ section on the menu includes several sweets and snacks. Should I choose a base plan or custom design my own meal plan meal every week? It’s all about flexibility and what works best for you. We suggest 3 entry level base meal plans of 4, 7, and 12 meals per week. We think that’s a great place to start depending on your circumstances and how many people you would like to feed. 4 meals may be a good fit for one person or someone looking to supplement their diet with a few great meals for the week. 7 meals could accommodate 2 people for a few days or nourish one person for most of the week. 12 meals might be great for a small family or for nourishing one or 2 people all week. Or you can order any number of meals per week and skip or pause your weekly order at any time. What items should I choose for my plan? What looks good to you on the weekly menu? Think about your lifestyle and food needs for the week. Do you require breakfasts, lunches, or dinners? How many of each meal do you need? Do you enjoy lots of vegetables or more meaty entrees? Do you need to avoid gluten or have some other dietary preference? For instance; Choose a quiche and composed salad with dressing for breakfast or lunch and then pick a couple of entrees for dinner. Or choose a creative wrap and a pretty, layered shaker salad for a quick and convenient lunch and then a pot pie, lasagna, or whole chicken with some family style sides for dinner. Use our ‘add-ons’ section to supplement and diversify your plan with some granola for breakfast and decadent but wholesome baked goods for dessert. How do you recommend I reheat my meals? We include reheating instructions with every meal, however reheating some meals may seem a little tricky to the inexperienced cook. A few of our signature items like the chicken pot pie and quiche are delivered in a pie tin that can easily be placed in a 300 degree oven for slow reheating once the lid is removed. We recommend that you remove the item from the fridge 30 minutes before reheating and let stand at room temperature before placing in the oven. Some of our items can be easily reheated on the stove top, in a pan, with the addition of chicken or vegetable stock, both of which we offer in our ‘add ons’ section. We package our meals so that each component can be easily removed for reheating. We do not recommend using a microwave for reheating. What kind of packaging does Harvest Kitchen use for their products? We use plant-based biodegradable and compostable packaging for most of our products. Who are Harvest Kitchen’s other local farm sources? Harvest Kitchen is plugged into the local community. We source first from Michigan farms before looking outside the region for worthy organic produce, flours, grains, beans, sweeteners, and more. Besides our primary local farm partner Tantre Farm, we support Goetz Farm, Garden Works, Frog Holler Farm, Black Oak Farm, Seeley Farm, Ann Arbor Seed Company, Calder Dairy, Eat Local Eat Natural, The Brinery, and many more other local growers and producers. 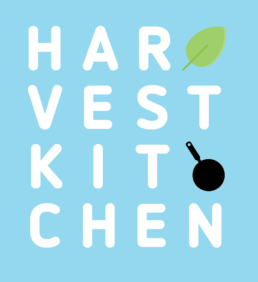 Where can I find Harvest Kitchen products? You can find Harvest Kitchen products at both Argus Farm Stop locations, on 325 West Liberty St. and 1200 Packard St and at Whole Foods Market on 990 West Eisenhower Parkway. You can find us every Saturday at the Ann Arbor Farmers Market at 315 Detroit Street in Kerrytown, stall #24, across from the Kerrytown shops, offering a great selection from our weekly menu and retail products. How do I get the food I ordered? You have the option of having your order delivered to your door or you can pick it up at one of our drop off locations. If you choose the home delivery option, we will deliver your order on Friday evening so that you receive your meals at the peak of freshness. There is a delivery charge that depends on your location. If you can’t receive your order then we require that you place a cooler with an ice pack on your doorstep so the food remains cold. Because we want you to have fresh delicious food, we will never leave your food outside without a cooler to protect it. There is an additional delivery charge for a second delivery. Or you can choose one of our pick up locations: either of the Argus Farm Stop locations, the Ann Arbor Farmer’s market on Saturday, or the Ypsilanti Food Co-op. We drop off orders on Friday evening to the Argus locations and the Co-op. There is a delivery charge for the Co-op drop off. © 2019 Harvest Kitchen. Design by + SCALE.